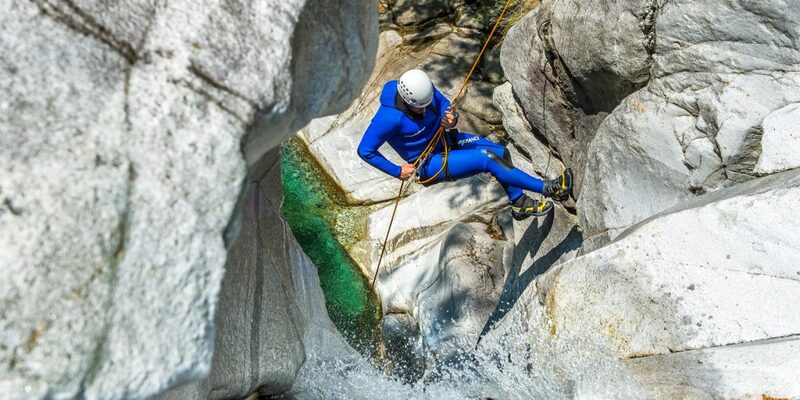 Val Grande, located in Val Maggia, is an exciting canyon that features some of the nicest slides in Ticino. Several jumps (max. 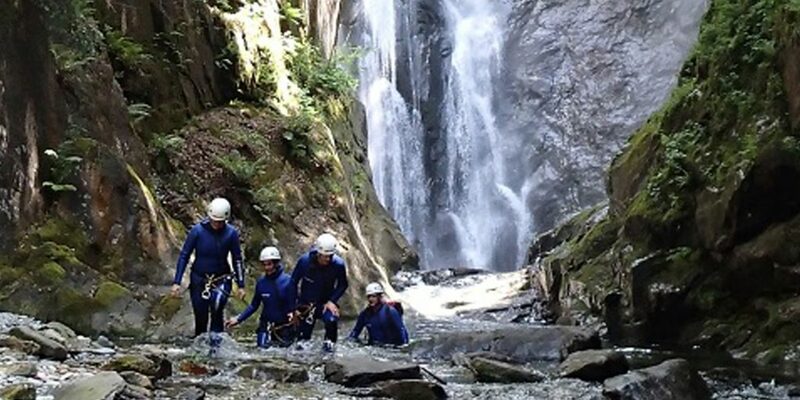 10m) and interesting abseils (max. 25 m) give some variety. Val Grande is also special because the rock is so unique. 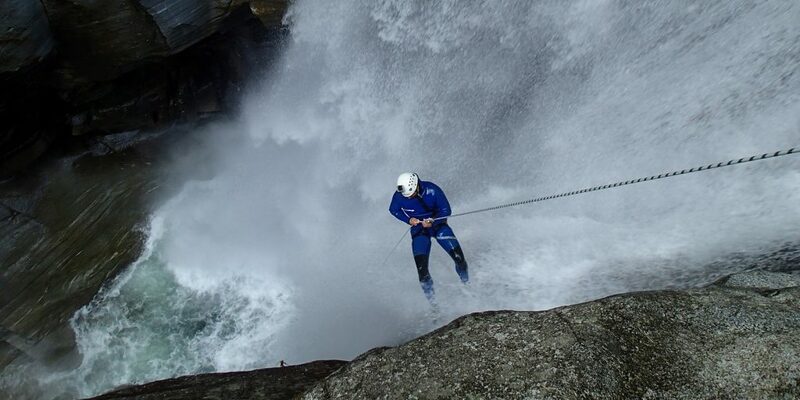 Vertical bands of black and white give it a very different look from other canyons in Ticino. The approach takes about 30 minutes, actual time in-canyon is about 2-3 hours. Healthy physical condition, swimming ability, sure-footedness and freedom from vertigo. Minimum age 10 years. From 2 to 14 persons. Please contact us for larger groups.